To reach Jungle Beach, you can refer to Route 1A to Hyundai Vinashin, then turn right. - This is a very rustic, rustic retreat with hand-carved furnishings by Canadian architects. 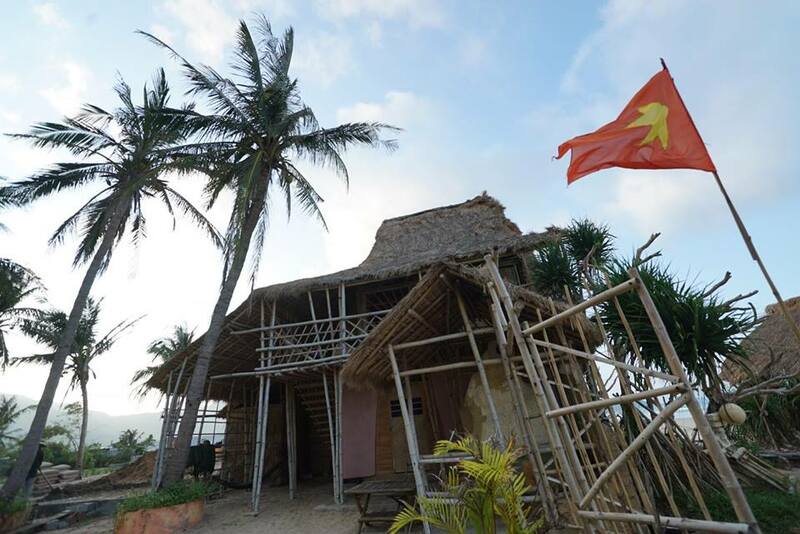 The first impression when you come to this secluded paradise is the very rustic space of Vietnam with thatched roofs, bamboo poles, bamboo poles, and banana bushes after the summer and beautiful white sand beaches. In addition, the interesting thing that you can hardly find on the coast of Nha Trang with the experience of viewing the black-shanked douc langur only in Hon Heo. 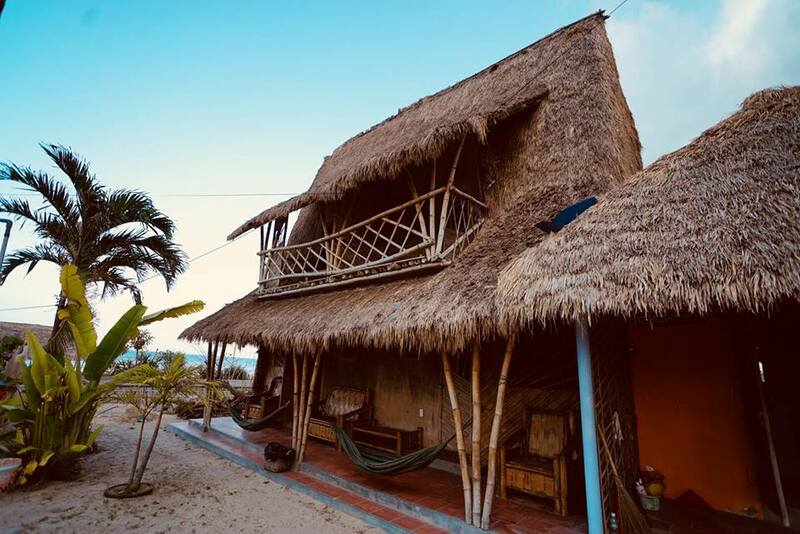 In addition to swimming, relaxing in the hammock or enjoying fresh lemonade, you can enjoy a variety of beach activities such as volleyball on the beach, sunbathing, dark. In particular, enjoy the "sea village" Jungle Beach you just pay the book room and the price is included breakfast. Fish dishes, prawns, squid, and fruit are very fresh.